Storyful, a news agency which finds stories on social and verifies them, has released a free open-source tool for searching social media. The Chrome browser extension – called Storyful MultiSearch – lets you enter a keyword and search Twitter, Twitter videos, Twitter images, YouTube and Spokeo, a search engine for finding people. 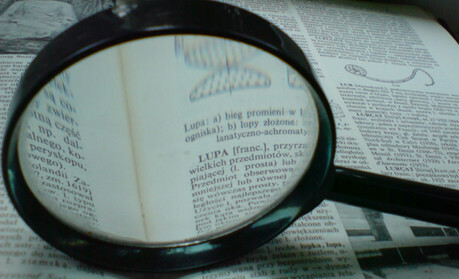 Once installed, the extension appears as a magnifying glass logo. You can then click the logo and enter a search term. The results are opened in separate browser tabs, with a maximum of three tabs for any keyword. Update 3 Sep: MultiSearch is no longer limited to three tabs, and now supports Tumblr and Instagram search, as the open-source browser extension has been built on. The new tool was developed by Storyful, which has big-name clients including New York Times, Channel 4 News, ABC, France24, Reuters and Bloomberg, and is already being used by the team of search and verification journalists in the Storyful newsroom. The browser extension was created to allow "journalists to quickly and efficiently search multiple social networks with one click", Storyful explains in a press release. "Alongside the essential human verification that takes place in the Storyful newsroom, our journalists use 20 tools, ranging from browser extensions to full-blown persistent search and monitoring tools," the release adds. 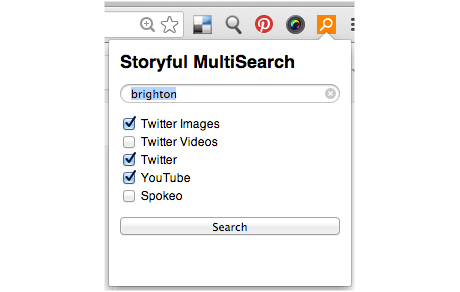 Storyful MultiSearch is the first public launch of one of the tools and is open-source, meaning anyone can build on it. Storyful hopes this will "encourage more newsrooms to bring social discovery into their newsgathering process". In the release, Adam Thomas, Storyful's recently-appointed director of business development, said: "Storyful MultiSearch is all about making journalists' lives easier. "Our journalists use this tool a great deal; it saves time during the investigation of breaking news, but also aids research for longer-form journalism." Last week we reported on Storyful's Open Newsroom project, which involves a Google+ community working together to verify content shared online. The Chrome browser extension is officially launched on Tuesday (3 September) and is already available here. The source code is here. Useful: 10 handy browser add-ons for journalists. Announcement: Malachy Browne, news editor at Storyful, will be speaking in the searching social session at news:rewired on 20 September. Claire Wardle, director of news services at Storyful, will be leading a workshop on verification at the event. At the time of writing (10am, Friday 30 August) there are just 15 news:rewired tickets remaining – so do not delay if you would like to attend the conference. The agenda is here. You can buy tickets, which cost £130 + VAT, here.